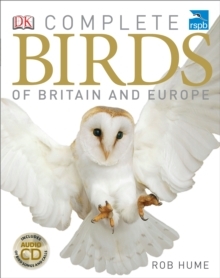 This is the complete guide to all the birds of Britain and Europe, from tiny garden birds to large birds of prey. 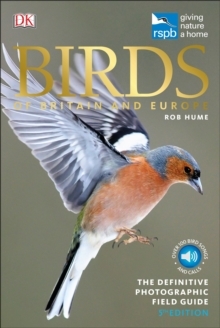 Whether you're a novice or a long-time birder, RSPB Complete Birds of Britain and Europe is an essential reference to the 800 bird species found in Britain and Europe. 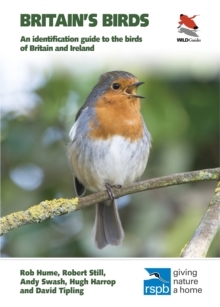 It comes with a 70-minute CD of birdsong and calls so you can listen to many of the birds featured in this beautiful guide. See birds in their natural habitat and learn about characteristic behaviour with stunning photos showing adults in typical plumage, with male, female, juvenile, and summer or winter variations to help you identify birds quickly and easily. Explore colour-coded maps highlighting resident and migratory distributions so you know which species of birds to expect when you are out and about. 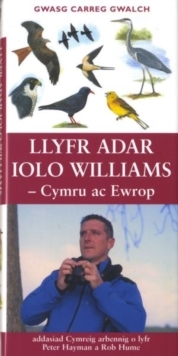 Plus, this comprehensive reference book describes the characteristics of bird anatomy, reproduction, flight, birdsong, and other forms of behaviour, so beginners will become expert birdwatchers in no time, and experts will also find much to enjoy. 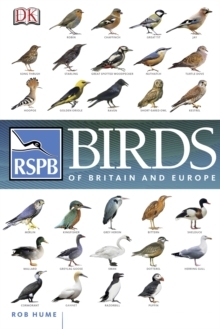 Every fact and image fully authenticated by experts at the RSPB, making this a must-have for bird enthusiasts of all levels.